R. Leigh Hennig of Bastion Science Fiction Magazine. Leigh tells us he's a recent transplant from Rura Penthe, er, Rochester, NY to Seattle. He works as a network engineer by day, and when he’s not working on Bastion in the night, he’s writing his own short stories as well. He’s also an avid soccer fanatic (center back for his Tuesday night team — a defensive rock, and about as fast as one as well) and is probably more dedicated to Arsenal than the Pope is to Jesus. Bastion specializes in science fiction. Iulian Ionescu of Fantasy Scroll Magazine. Iulian was born and raised in Bucharest, Romania, where he earned a Bachelor’s in Finance before moving to the U.S. during 2001. He is a writer of fantasy and science fiction and to date has published a little over a dozen short stories in various markets (and is currently working on two fantasy novels and a sci/fi series). In addition to holding down a day job and working as Editor of Fantasy Scroll Magazine, Iulian runs a writing blog and a personal blog. 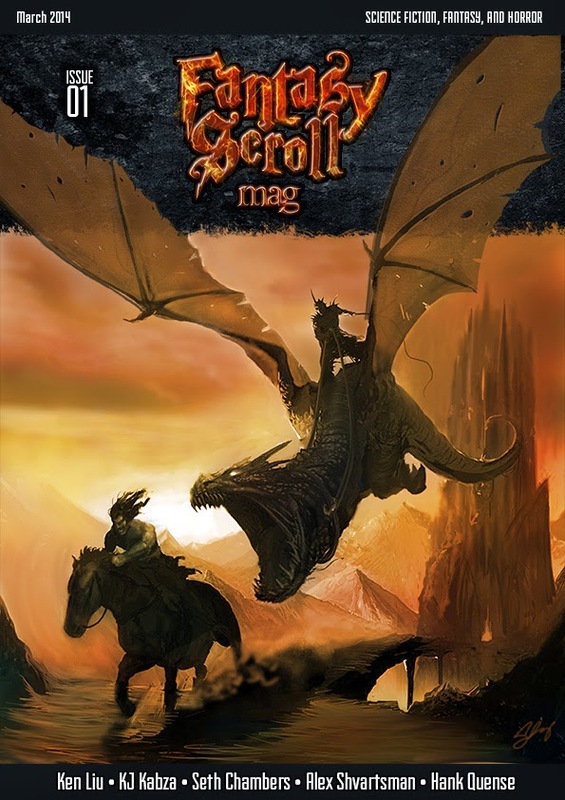 Fantasy Scroll features fantasy, science fiction, horror, and paranormal fiction. Ana Grilo and Thea James of Book Smugglers Publishing. Ana and Thea are among the best bloggers writing about SF/F, and as an outgrowth of this experience, have just announced a new short fiction venture--Book Smugglers Publishing. Like many foolhardy ideas, they inform us, The Book Smugglers was born of a time of great adversity. Faced with threats from their significant others concerning the overwhelming volume of books purchased on a daily basis, Ana and Thea resorted to "smuggling" books home in huge handbags to avoid scrutiny. In 2008, the devious duo founded The Book Smugglers--a review blog dedicated to speculative and genre fiction for all ages, and an outlet for Ana and Thea's bottomless obsession with books and assorted SF/F popgeekery. In 2014, after successfully editing Speculative Fiction 2013, they decided to continue to find and publish the best and brightest voices in SF/F. 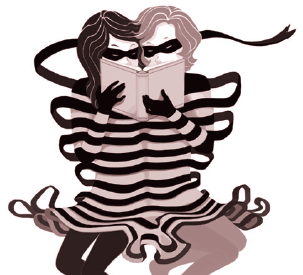 Book Smugglers Publishing will feature stories from across SF/F, with a special focus on YA and Middle Grade-level fiction. What made you decide to start publishing short fiction? Tell us the story behind your magazines. R. Leigh Hennig (Bastion Science Fiction Magazine) - I’ve always been big into short stories, both as a reader and writer. I’d been in the community a while. As a reader, I wanted more. As a writer, I know how frustrating it is trying to get your work published. I wanted to do things differently. I wanted to do something that mattered to people. There’s a wealth of great stories being written, but it’s hard for a writer to get noticed. I decided that I wanted to be part of that process, of finding and publishing these fantastic works. The magazine was only natural. Iulian Ionescu (Fantasy Scroll Magazine) - I grew up reading a lot of short stories, mostly anthologies and less-known magazines. At some point I switched to long fiction and I think that for the most part of my life I kind of forgot about short stories. That is, until I got back into writing after a hiatus of many years. I had started with not one, but two novels, and as I pushed through I found it rather hard. That's when I decided to take a step back and rediscovered short stories. I joined a critique group and I started to write them. I felt rusty and I needed practice and short stories gave me just that: the ability to write a lot of different things, fast, and get feedback so I could learn from my mistakes. I think that most writers go through this process where short-fiction becomes a stepping-stone for longer works. At that time I understood the value of short fiction for writers, and I also re-learned how to love reading short fiction. Starting a magazine was just a normal step from there. Thea James (Book Smugglers Publishing): Book Smugglers Publishing isn't a magazine, per se - we're actually aiming to publish standalone short stories online, in ebook format, and limited (collectible) print editions with possible e- and p- book anthologies in the future. Both Ana and I have been reviewing mostly long fiction for years, but recently have been exploring and really enjoying the diversity and flexibility offered in the short fiction format. And, as we recently have finished editing a series of short nonfiction articles and essays for Speculative Fiction 2013, we felt like this was a very natural next step for us and for The Book Smugglers. How do you see your outlets fitting into the overall market for short science fiction and fantasy? Iulian (FSM) – If you really start looking into it, you'll realize very fast that there aren't a lot of markets out there. A quick search on Duotrope reveals less than 300 markets that take speculative short stories. Then, if you start breaking them down by their specific guidelines, the list gets shorter and shorter. In addition to that, a lot of markets are extremely busy and they take sometimes many months to reply. So new authors are faced with the reality of a few, slow-responding markets. From that perspective, any new market adds to the mix and provides a new, hopefully fresh, place for writers to submit their work. I am a writer myself and I've had my share of interactions with markets of all kinds and all levels. When I started my magazine, I thought of it as a new place for new authors. Of course I will publish known names, but I really wanted to be in the business of discovering new talent. I also strive to reply as fast as I can, especially to rejections - time is precious and I don't want to waste the authors'. Publishing known authors is a multi-faceted idea: on one side, I want to pay a tribute to those writers whose works I've enjoyed year after year, and who ultimately drove me to being a story teller. On the other side, the well known authors create a certain cachet for the new authors, who now share pages with some major writers. Last, but not least, and this is sad but true - it takes time for a magazine to create a good readership that would allow it to survive as a business. By publishing well known authors, the magazine can get on its feet a bit faster, create more buzz, and attract more readers and writers. Ana Grilo (BSP): One of the things we find most exciting about the overall market for short fiction is the field's diversity. It is possible to find all kinds of SFF short stories, from authors with all sorts of different backgrounds. We want to be a part of this growing field of speculative fiction, and we want to be able to find and provide a space for diverse short stories. Like Iulian, we are aiming to publish a mix of new and well-established authors. More specifically, we are keen on expanding the existing market to include more Young Adult and Middle Grade short stories. So much excellent science fiction and fantasy is being written in these categories, and we’d love to help short stories in these categories get discovered and read by the larger speculative fiction audience! Leigh (BSFM) - I agree with Iulian in that there really aren’t as many science fiction markets out there as you might think, and the ones that do exist usually are extremely difficult to get published in and can take several months before you hear anything. Maybe ours will end up the same way some time far in the future, since part of the reason these larger and more well established markets take so long is because of the volume of submissions they receive. I hope not, though. I’d like to stay true to how we’ve started: meaningful responses to submissions in a reasonable amount of time. For now though, I’m satisfied with the role that we fulfill. 7-9 stories per issue really is a lot, and it gives us the opportunity to expose more authors. I also think that given what we charge, it’s a really good value. As Ana said, we’re always excited to publish new authors. Having experienced authors is nice and may help with readership, but to me finding those authors who have never been published before is more exciting than publishing someone who’s a regular in the larger markets. The discovery process is a really cool one to be involved in. What are the major issues or problems you perceive in the marketplace for short SF/F? How do new markets, like yours, help address these issues? The first problem that we've noticed isn't necessarily with the short story marketplace, but the long fiction market - where we perceive there to be a lack of people finding, reading, and talking about great SF/F that extends beyond the realm of "white heroic western civilization-based dude saves the world." The second gap we've noticed directly pertains to the short story market in that we believe a strong majority of standalone SF/F short stories tend to be written for an adult audience - there's little we could find for middle grade or young adult readers outside of specific anthologies or interstitial novellas for longer YA series'. With Book Smugglers Publishing, we have the goal of publishing diverse SFF stories for readers of all ages - middle grade, young adult, and adult. Leigh (BFSM) - Thea brought up a good point, about short fiction allowing authors the ability to experiment and do things they might not otherwise have the chance to do. I think a problem with science fiction right now is that there’s an established set of rules and formats that exist and if a story doesn’t comply with those rules, then they might be met with resistance. Don’t get me wrong: stories still have to be good, but I think science fiction could use some younger eyes, ones that aren’t as entrenched in how things were typical done. You have to be willing to give new ideas and authors a chance. Bastion does that. We publish things that others might pass over. That’s not to say that we’re “experimental”, but we’re not bound by tradition. At the same time though, we draw heavily upon the groundwork that was laid by markets and authors during the “golden age” of science fiction. It’s a tricky balance to maintain. Iulian (FSM) - I think both Thea and Leigh touched upon the existing standards that tend to narrow the writers' possibilities. With established markets with stable readership those standards are going to feel less flexible and more stiff. That's normal. A magazine cannot shift too far away from their roots, or it risks loosing readers. But new markets such as ours, have the advantage of starting with clean slate, and somewhat from scratch. Yes, we do abide to certain SF/F standards, but I believe we have the luxury of being a little bit more open to new things. I won't call it experimental either, but different, if you will. I also agree with Thea that overtime the SF/F market forgot about young readers and is very much focused on adults. Whereas my magazine doesn't specifically target middle-grade, we are striving to publish stories that apply to younger readers as well. By doing that we open up to a wider readership and give writers a new sub-market to target. Thea (BPS) – We look for skillfully established, believable world-building. We look for resonant and genuine characters. We look for creative storytelling techniques, subversive themes that challenge established norms, and diverse perspectives regarding gender, sexual orientation, race, religion and cultural background. We look for a story that combines all of these elements into a single, cohesive, irresistible package. Leigh (BFSM) - We look for pretty much exactly what Thea just said they look for. Particularly the bits about genuine characters (and with that, genuine, realistic dialog) and creativity, along with diversity. A big thing for us is whether or not a story is compelling. It has to be emotionally engaging. Don’t make me feel like it’s a chore to read, or that it’s boring. We look for the kinds of stories that you read and as you go along you almost skip words, falling over yourself trying to see what happens next. We want to read stories that do more than describe visuals. This is probably the worst — where a story gets so caught up in describing how cool they think something looks, with holographic interfaces and such. We also look for stories about life. So often we get stories dealing with death. It’s an easy emotion to play at, so it becomes old hat, but when we engaging stories about life, upbeat stories, those are terrific. Iulian (FSM) - For me a good story is a three-legged structure: plot, character, emotion. If any of those three is missing, the story will fall short for me. When I say plot, I mean an engaging story where something happens. I am not looking for slice of life stories, or overly philosophical dissertations. Something must happen and it has to be interesting. For characters, I am looking for well-rounded, three-dimensional people who either want something, or change somehow. A character arc gives an extra dimension to a story and ties in really well with the last leg - emotion. A story must create an emotional spark in the reader, otherwise it won't work for me. If a writer manages to do these well, the story will most likely be accepted. Of course, since my magazine publishes speculative fiction, every story needs to have a speculative element and it must feel as an integral part of it, not tacked-on just for the sake of it. Along these lines, how important is “branding” or cultivating an “identity?” Should markets simply look for the best fiction available or those that conform to a coherent “vision” or reflect a certain aesthetic? Iulian (FSM) – When it comes to the branding, I think the concept is very important for a magazine. And it goes both ways: a bad brand will not attract good writers and vice versa. Take the examples of magazines like Clarkesworld, Lightspeed, or Asimov's. In different ways they all have established themselves in the marketplace as "high quality." Markets that fail to do that slowly wither and die. The same rule of offer and demand as in any economic phenomena applies to the fiction markets as well. If a market pays well, accepts good stories, has a professional look and feel, and interacts with its readers using the most modern technology, that market will be embraced by both writers and readers. As for the "best fiction" aspect, I think it's a fine line. I've received stories that were great, but their speculative element was rather invisible, or the story was better suited for a children's market than an adult's market. In that case, I reject the manuscript and I direct the writer to some alternatives. So, on one hand I always look for great fiction, but on the other hand I do filter it to match my vision for the magazine. Remember that this vision is what the readers use to categorize it in their minds. After a while they will expect the same over and over again. You can get by with sprinkling things from the left field every now and then, but if you start to steer too far away from your original vision, you might loose readers. Unless you have a very clear marketing plan in mind to replace those readers, such a move could be detrimental, if not fatal, to a magazine. Ana (BSP) - One defining quality of our blog is its eclectic nature: as readers and reviewers, Thea and I will review practically anything in terms of categories, topics and genres. I guess you can call that our “identity” and we hope our publishing endeavor will reflect this eclecticism. We want to offer a bit of everything, from audiences ranging from Middle Grade to Adult, in any subgenre that falls under the speculative fiction umbrella. We are of course looking for the “best fiction available”—aren’t we all? But instead of publishing the same types of stories over and over again, we hope to offer something new and fresh with each round of short stories that we publish. To facilitate that freshness, we're coming up with different themes for each round of short stories we accept in a given "season." This first round is focused on subversive fairy tales, for example. That’s our vision: diversity, eclecticism, and variety. Leigh (BFSM) - We’re very aware of how aesthetics plays a role in a market’s image. Bastion has a very specific image we’re going for, and I think it’s important that remain consistent on our site, and for our covers. As for the stories themselves however, we like to be a little more diverse. 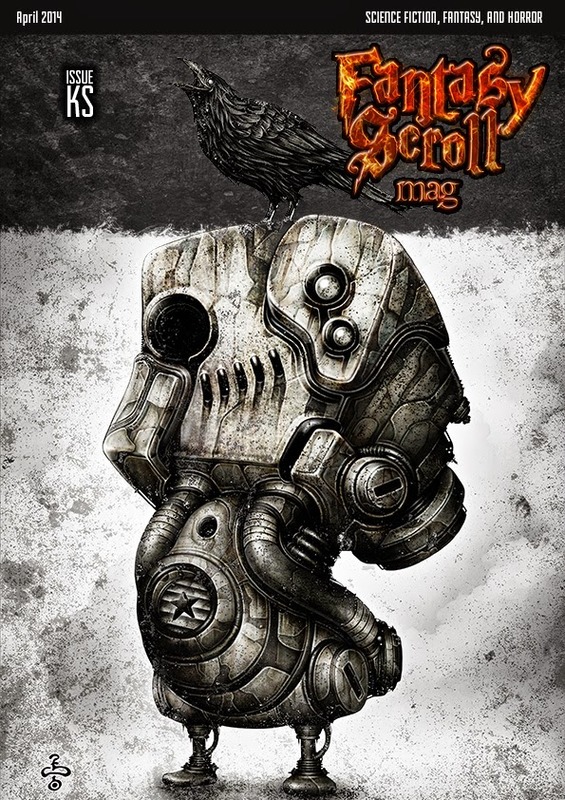 We’re trying to make sure that each issue has something for everyone, so while some may expect us to publish hard SF, my hope is that folks will be pleasantly surprised by the wider range of our stories. You still need quality, as Iulian says, but (within reason) maybe that means something a little different for everyone, so we’re trying to appeal to a wider audience. We don’t cast as nearly a wide net as Book Smugglers Publishing does — “science fiction” is in our magazine’s name, after all — but there’s going to be more here than what some might expect. Some might not be expecting this. In fact I heard from one person that our May issue wasn’t what they expected, and I think they already had a vision in their mind for what they wanted. While I’m confident that we’ve delivered really great science fiction (and others do agree), perhaps they were expecting coffee and instead had tea, if you understand my meaning. Where do you see yourselves in, say, five years? What do you hope to accomplish and what do you perceive to be the major challenges ahead? Leigh (BFSM) – Five years is a long way off. It’s hard to predict what may happen in that long of a window. I will say that I have no intention of easing off the throttle, however. I set out to make Bastion a professional market with professional recognition, a place where authors can be proud to have been published. I won’t be stopping until I’ve achieved that. The biggest challenge we face right now is simply recognition. We’re new, so almost no one knows about us. It takes time to develop a readership. We’ll get there though. Count on it. Iulian (FSM) - When I started I set my goal to become a market that pays professional rates within 3 years. In our first year, 2014, I started with a quarterly publication, paying semi-pro rates. Next year I hope to raise the number of issues to 6 and perhaps increase the rates a little bit. By the third year, my goal is to have a monthly publication that pays professional rates. The challenge is being able to take the content and turn it into a business. There are many things to consider: getting a solid readership, being competitive in prices, providing high quality materials, convincing sponsors to feature ads on your site, and so on. I have adopted a model where I put everything online for free for a while. After some time the older content will only be available for a price, where new content will continue to be available for free. I am sure my model will suffer many changes over the years, as I am trying to do the best for the readers, the writers, and also for the business. Thea (BPS): Ultimately, we want Book Smugglers Publishing to encompass not just short SF/F stories, but long form novels and commentary, too! In five years, we hope to have established ourselves as a publishing entity, putting forward interesting and diverse works of speculative fiction, written for audiences of all ages, in varying lengths, and format types. Like Bastion and Fantasy Scroll, we're new, so getting recognition and building cache as a publisher will take time - but we're confident that we can find the right SF/F stories and put those stories in front of hungry, eager audiences.